A man named Pearl answers his doubters with an extraordinary garden. Driving up broad acres road in sleepy Bishopville, South Carolina, you can’t mistake Pearl Fryar’s house. Before you reach the brick ranch, fantastical shapes rise from the earth like a row of genies wafting out of their bottles, deep green bodies arching and corkscrewing in a multitude of directions. The house itself is tightly circled by swooping shrubs, some multitiered, others squat, resembling oversized mushrooms. 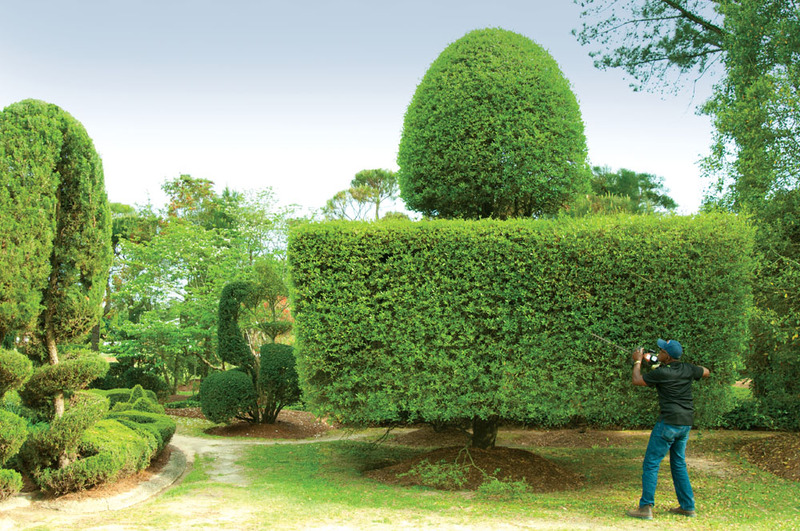 Over the past three decades, the self-taught topiary artist has transformed his 3-acre lot into a living sculpture park. The garden also is home to what he calls his “junk art,” fountains and sculptures Fryar assembles from found objects. On a sunny Saturday morning, Fryar, 72, is laying down a mosaic of bricks and stones to create a walkway to an important addition – a public restroom. “To get a sign on the interstate, you have to have one,” Fryar explains, as he stands up and brushes the dirt off his black jeans. Lee County and a local business financed the restroom, along with signposts on the highway through town. Well before anything pointed the way here, folks started coming and now number 10,000 to 15,000 a year, Fryar estimates. 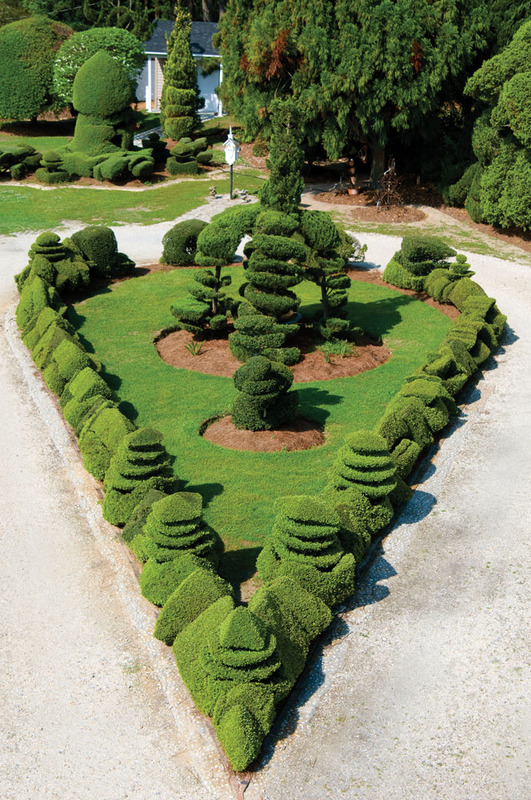 Maybe they read about him in newspaper and magazine articles or saw his 20-foot-high Heart Within a Heart juniper topiary, which was moved in 1996 to the grounds of the South Carolina State Museum in Columbia. Or maybe they saw the 2006 documentary A Man Named Pearl, which aired this year on the Oprah Winfrey Network. The garden, about 25 miles off Interstate 95, is a popular stop on the route between Florida and the Northeast, and today’s visitors include both travelers and locals. He talks with all of them, asking where they’re from and leading ad hoc tours, where he holds forth on horticulture, art, and self-improvement with a can-do zeal. The artist stands 6 foot 2, and, aside from a slight stoop, has the physique of a fit 50-year-old. 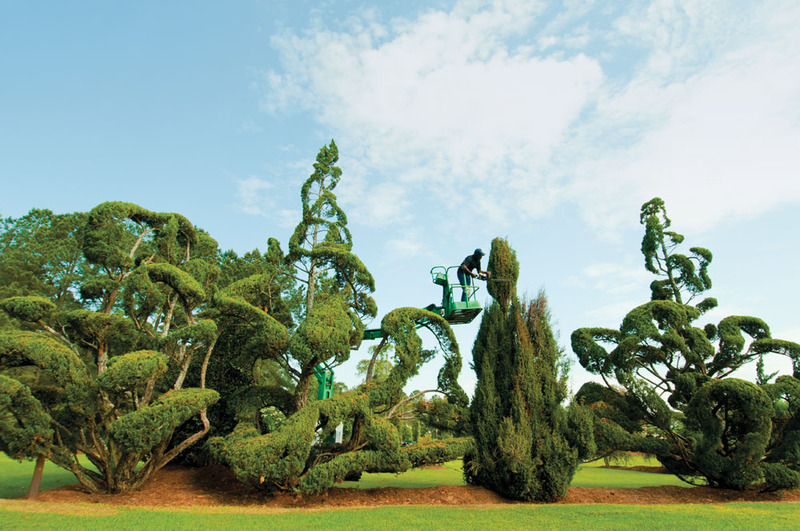 He has pruned, trimmed, tied, twisted, and forced some 500 plants into submission since his first topiary in 1983. He worked alone until recently, when he got a part-time helper for basic chores. 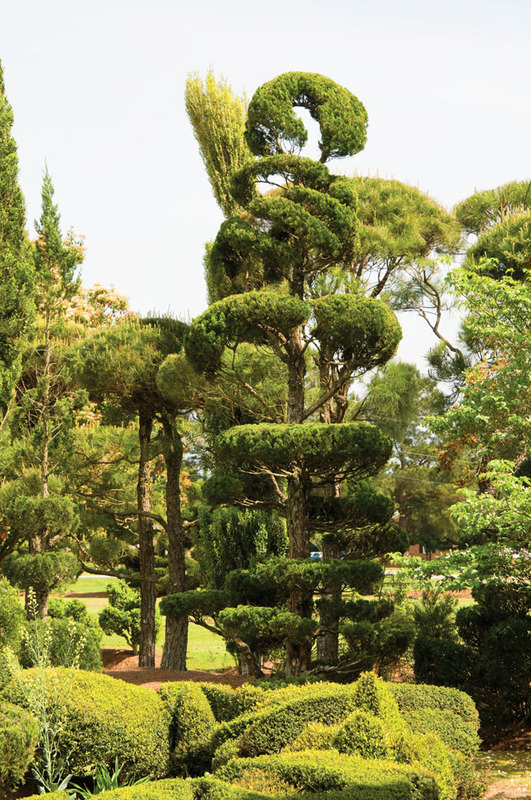 Fryar’s more organic forms conjure Spanish architect Antoni Gaudí, while the angular designs resemble cubist Picassos. 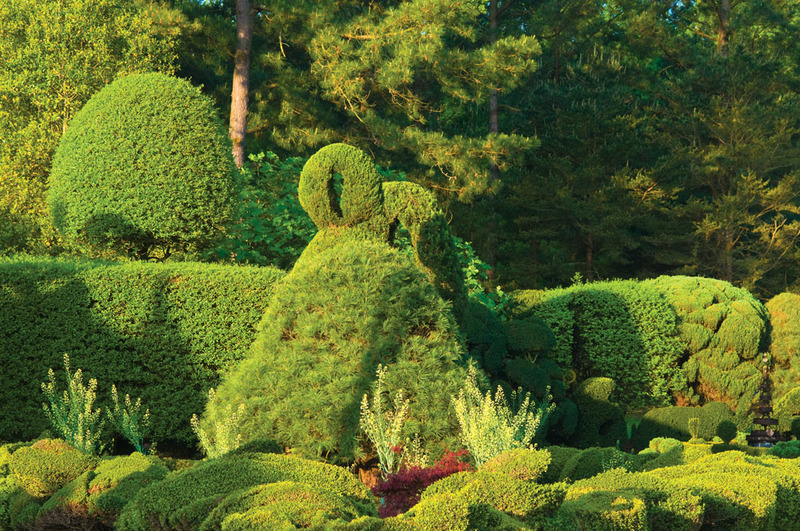 He eschews the wire frames used to form most grand-scale topiary and is known for abstract designs using all manner of trees “not fit” for ornamental shaping, including dogwoods and live oaks. The flora alone make a trip here worthwhile, but Fryar’s background elevates the man to mythical heights. The son of a North Carolina sharecropper, Fryar made it through college, studying math and chemistry, with the help of a benevolent landowner. He later worked in can factories in New York City and Atlanta before being transferred to Bishopville. There, a friend relates in the documentary, he tried to buy a home in a white neighborhood but was told that “black people don’t keep up their yards.” It was an indictment that fueled his desire to keep not only a well-groomed yard, but an exceptional one. Ask him about the incident, and Fryar declines to elaborate. “I don’t like to talk about color or negativity,” he says flatly. Instead, he preaches the power of potential and determination. A few years ago, using money he’s made from speaking engagements and appearances, he started awarding community college scholarships to industrious but average students who don’t typically meet academic requirements for assistance and who might otherwise fall through the cracks. Fryar ends today’s tour, which has doubled in size, by crossing a small footbridge onto a lawn with the words Love, Peace, and Goodwill etched into the grass and accented with pine straw. Diane Daniel is a writer in Durham, North Carolina. 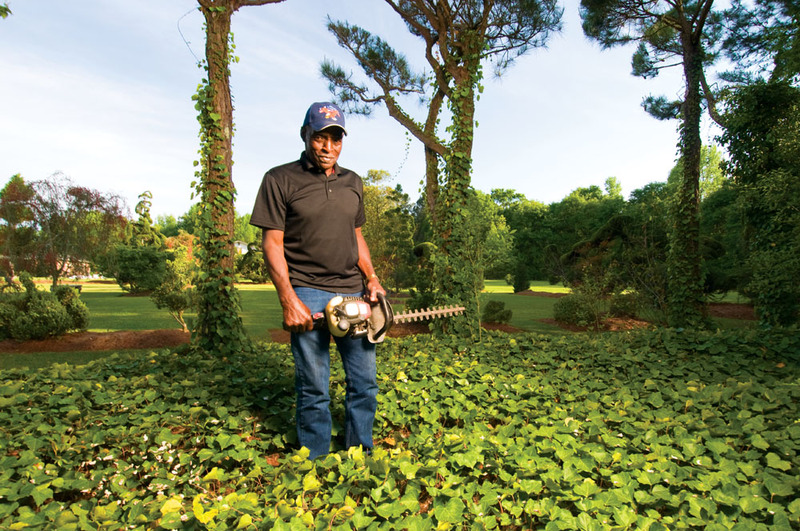 A gas-powered hedge trimmer is Fryar’s tool of choice. He wields it for hours at a time in the South Carolina heat. This island graces Fryar’s driveway. He trims the hedge, made of Yaupon hollies, once a month. 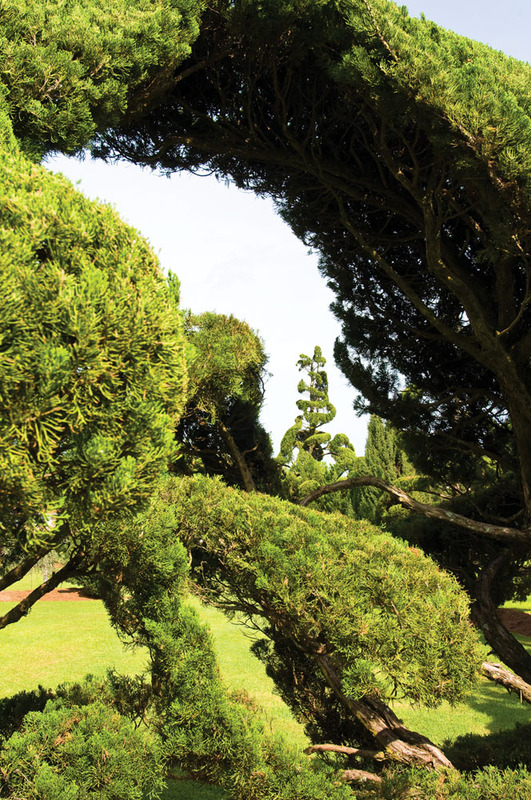 Fryar regularly trims the foliage of plants like this juniper to keep them looking dense and smooth. 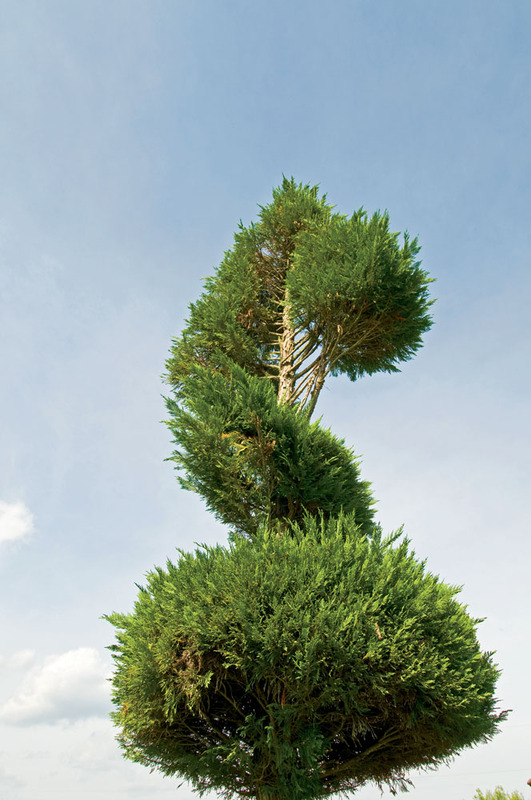 A juniper, with a faint heart shape as part of its abstract design. Love is a theme through­out the garden. The white pine in the center of this photo started life as a Christmas tree. Fryar has been shaping it since the 1980s. 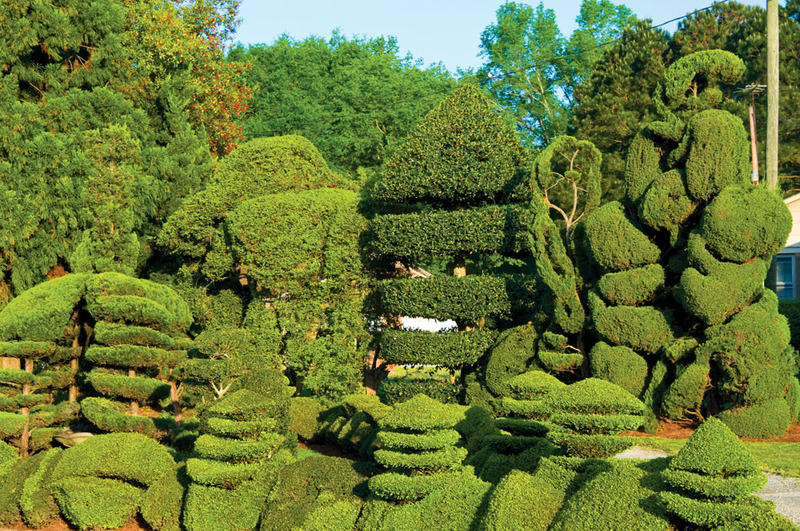 Planted in the early 1980s, this hedge separates Fryar’s property from his neighbor’s. A squared-off oak tree. The branches and leaves are so dense that Fryar can stand on top of it.